These were so frequent that keeping a full log was impossible. 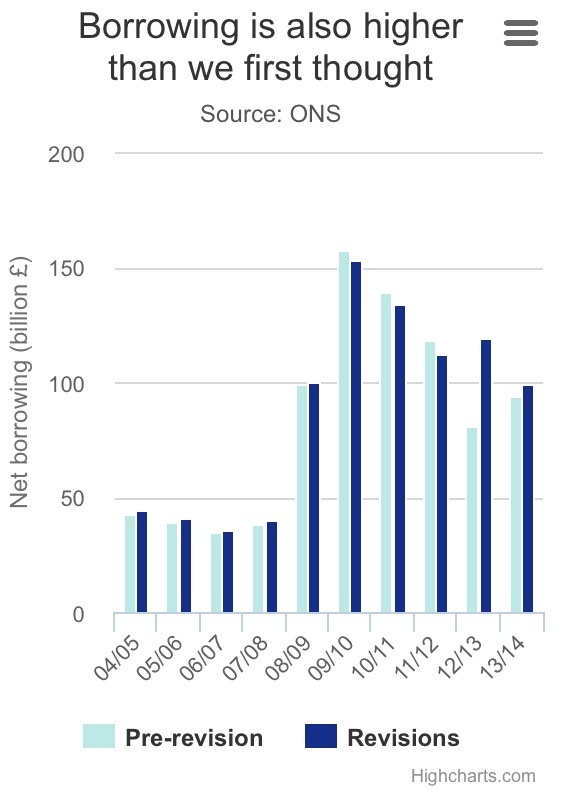 Continued high levels borrowing, despite rhetoric of constant blame toward Labour (which, coincidentally, presided over something called the 2008 crash – and so wasn’t party policy). Speaking on LBC radio, he described plans to address the housing crisis by paying developers to build on public land. TRUTH – Housing charity Shelter crunched the numbers and found that even the planned 200,000 new homes, at up to £450,000 a pop, are unaffordable for the vast majority of Britons. In his address to the Tory party conference Wednesday 10th October 2012, Cameron claimed that his government had created over one million jobs in the private sector. TRUTH – Around 200,000 of that million are straight forward reclassification of people who work in further education and have simply been reclassified from public sector workers to private sector workers. Hundreds of thousands more are part time workers; temporary workers; self employed; under employed. a) “there are more people in work now than at the last election” TRUTH – at that time employment figures from the independent Office for National Statistics show that the number in work has fallen by 26,000 since May 2010. Total employment for full-time, part-time and temporary workers in May-July 2010 was 29,145,000, but the number fell to 29,119,000 for September-November 2011.
b) “just plain wrong” in response to a question from Labour MP Anne McGuire about cuts to disabled children’s benefits. TRUTH – Anne McGuire is correct to state that some disabled children’s benefits are being reduced by over £1,300 a year for those who children who do not qualify for the highest rate DLA care component, their entitlement will fall by £26.75 per week. According to page 28 of the Department for Work and Pensions’ impact assessment on the introduction of the new universal credit says the rate paid to disabled children will fall from £53.84 to £26.75 a week. d) “so many millions of children who live in households where nobody works and indeed that number doubled under the previous government.” TRUTH – According to the Office for National Statistics, the number of children living in workless households fell by 372,000. Shortly before the 2010 GE, Cameron promised “no more top down reorganisation of the NHS”. TRUTH – The Tories’ attempt to dismantle the NHS has been a long time in the planning. Back in 2005 Andrew Lansley made a speech to the NHS Confederation spelling out Conservative priorities for the NHS. These included privatisation, a pro-competition regulator and the delegation of NHS budgets to GPs. The building blocks of the Health and Social – Care Bill were there from the very first days of Cameron’s leadership of the Tory party. He knew this, both he and Andrew Lansley had been planning the biggest reforms in the NHS in its 63 year old history. What we now have is a health service which is a shambolic and incomprehensible mess, with the confusion heightened by the plethora of amendments which were thrown into the Health & Social Care Bill (now an Act) in a desperate attempt by the Tories to keep the Lib Dems on board. In fact Cameron and Lansley need not have worried, the Liberal Democrats voted with the government for the destruction and privatisation of the NHS. Now in late 2012 and before the Health & Social Care Act is fully implemented the NHS is showing serious fault lines of collapse. Claiming that the Royal Colleges of General Practitioners, Physicians and Nursing “all supported” his health reforms. All three opposed the reforms. “We will not endanger universal coverage — we will make sure it remains a National Health Service.”. The health service has already begun breaking up into local GP commissioning groups. “Reforms were needed as there were 5,000-10,000 needless cancer deaths a year compared to other EU countries.” TRUTH – The NHS has helped achieve the biggest drop in cancer deaths among 10 leading countries. “We are not reorganising the bureaucracy of the NHS, we are abolishing bureaucracy”. TRUTH – The NHS has been saddled with even MORE bureaucracy with new management bodies. Before 2010 general election, David Cameron promised 3,000 more midwives. TRUTH – Since the general election, nurses and midwives have been down-banded, working harder for less, and midwives in training have been reduced by 3% a year. “We will save the maternity and A&E units at Chase Farm hospital, London.” TRUTH – The then Health Secretary announced the units would be downgraded in November and will lose key services. Promised he would “would not cut Pensioners Winter Fuel Allowance” TRUTH – In 2011 pensioners aged 60 – 79 had their winter fuel payments cut by £50 and pensioners aged 80 plus had their winter fuel allowance cut by £100. On the Andrew Marr Show: “they [the Tories] were the first party to say that public spending would have to be reduced. We were the first to say that it was an unsustainable path – TRUTH – Late into 2008, Cameron and Osborne were promising to match the then Labour Government’s spending plans “pound for pound”. It wasn’t until Alistair Darling the then Labour chancellor started talking about “sustainable cuts” to halve the deficit over 4 years to protect the economy that Cameron and Osborne suddenly changed their minds. Three days before the 2010 election, Cameron said on the BBC’s Andrew Marr Show: “any cabinet minister … who comes to me and says; ‘Here are my plans’ and they involve frontline reductions, they’ll be sent straight back to their department to go away and think again”. TRUTH – £81bn in cuts rained down on frontline services with an expectation for a further £16bn worth of cuts on top of those. In 2010, just a month prior to the general election Cameron was asked if VAT would rise. Cameron said; “Our plans involve cutting wasteful spending … our plans don’t involve an increase in VAT.” – TRUTH – In Osborne’s first ’emergency’ budget he raised VAT by 2.5%. In 2010, Regarding Tax credits. Cameron promised “to cut them only for families on £50,000” – TRUTH – The 2011 budget book shows families with an income of just £30,000 will lose all credits. In 2010, he claimed that the lack of helicopters in Afghanistan was “scandalous” and accused the Labour government of a lack of “commitment and focus” on the issue. TRUTH – From November 2006, the number of helicopter hours in Afghanistan rose by 137%, providing greater flexibility for commanders planning operations. In December 2009, as part of the new Future Rotary Wing Strategy, the Labour government announced the procurement of 22 new-build Chinook helicopters with the first 10 being delivered in 2012 and 2013, in time to add greater flexibility for operations in Afghanistan. Merlin helicopters were redeployed in Afghanistan and the fleet expanded by 25%. Improvements were made to Sea King helicopters to allow them to operate in Afghanistan, up-rated engines for the entire Lynx Mk8 fleet to enhance operations and greater availability of Chinooks for training to allow for more effective deployment. Cameron and his various Defence Secretaries accused Labour of a “defence budget “black hole”. TRUTH – It was the Tories, who left the incoming Labour government in 1997 a smaller defence budget in real terms to the one it inherited in 1979 AND A £28billion black hole which they now like to pretend never happened. In the 2010 Manifesto When in opposition Cameron said; “under my government anyone who is caught with a knife will face imprisonment” – TRUTH – In 2009, when Cameron promised that a Tory government would jail anyone found with a knife, 27% of those caught were sent to prison. After 2 years of Cameron’s Tory led government that figure has now fallen to just 25%. In 2009/2010 Cameron Accused Labour Government of profligacy. TRUTH – The last budget before the financial crisis in 2007 put the structural deficit at just 3% (or 1% if borrowing to invest is stripped out). Most of the debt we have today came from dealing with the crisis, propping up the banks and the economy as tax revenue slumped. The Tories weren’t denouncing this as reckless at the time, as they can do so easily now. Quite the opposite. They promised to match Labour’s spending pound for pound until late 2008. If Labour are guilty of failing to save for a rainy day then the Tories are guilty of supporting them. Promising he would remain as PM regardless of the outcome of the EU referndum. Yet quitting hours after the result. Endorsing a chancellor that threatened EU referendum leave voters with an Emergency budget that would imply tax rises. Yet, after the referendum, doing no such thing. David Cameron claimed he had a deal to deport foreign criminals. TRUTH – We are not able to deport EU criminals because of EU free movement rules. David Cameron was actually referring to the EU’s prisoner transfer agreement – this has been a failure. The number of foreign nationals offenders from the EU has increased since it came into force. This costs us over £150 million each year. Cameron claims he got a substantial renegotiation. TRUTH – No powers will be brought back by his deal. “it will be a top priority for the next Conservative government to restore social and employment legislation to national control” – Yet no policy is implemented to do so. “Electrification of the railways is a key part of our investment programme. “With work already underway across the North, the Midlands, and South Wales, there are plans to go further in the rest of the country, including East Anglia and the South West.” REALITY: Two flagship electrification plans which take in Derby, Manchester, Leeds and Sheffield were scrapped soon after the election. “We will deliver more homes that people can afford – including 200,000 starter homes exclusively under for first-time buyers under 40.” REALITY: The government’s 1% yearly social rent reduction crippled housing associations, according to the Office for Budget Responsibility. Meaning 14,000 fewer homes being built than would’ve been otherwise. Lowering the standard of parliamentary debates and PMQ’s with jibes against opposition ministers and the opposition leader. “It’s not fair on hardworking people who do the right thing and pay their taxes to see these sorts of scams taking place”. Cameron in Jimmy Carr’s tax arrangements June 2012, despite his own family being implicated in offshore tax havens, as well as Osborne publicly advocating “clever financial products” on national television.